Secure storage of guns is vital to keeping your child safe. So is education – teach your children about gun safety. Keep guns unloaded and locked away. Do not store guns and ammunition in the same location. Keep keys to gun locks and gun safes with you at all times. Ask neighbors and parents of your children’s friends about their gun safety measures. Discuss gun safety with your children often. Whether you keep a gun in your home or not, your child could be at risk for injury or death from an intentional or accidental firearm discharge. Families of your child’s friends may be gun owners. National sources report that there may be guns in as many as half of U.S. homes. Increasingly, news stories confirm that kids bring guns to school. Clearly, there are many situations in which firearms can pose hazards. If your child is the victim of a firearm discharge, he or she may be seriously injured or even fatally wounded. Associates and Bruce L. Scheiner, Attorneys for the Injured, are known across Southwest Florida for their strong advocacy for families. Our firm began as a family enterprise. After 40 years of growth, Mr. Scheiner, his wife Cheryl, and their son Associate Attorney Preston Scheiner, still work side-by-side to ensure that families in Fort Myers, Cape Coral, Naples and other communities have the aggressive representation they need when a firearm discharge injures or takes the life of a child. 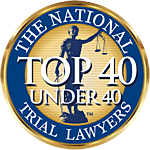 Fort Myers and Naples personal injury and wrongful death lawyers in our firm know that unintentional injuries are the leading cause of death for children in the U.S. And for many adults, as well. In the most recent year for which federal government figures are available, firearms deaths numbered 31,224, or more than 85 deaths per day. An eight-year study that appeared in the journal Pediatrics, reported an average of 2,956 deaths per year among children under the age of 19. High-profile cases of young children and teenagers killed by the accidental discharge of firearms continues to be a startlingly common occurrence in Southwest Florida. Children’s Hospital of Pittsburgh reports that unintentional shootings are most likely to happen during late-afternoon hours and on weekends. They also occur more frequently during holiday seasons and summer months. The hospital points out that these are times when many children are not effectively supervised. In most cases, the children involved had accessed guns that were kept loaded and accessible. Fort Myers firearm discharge attorneys at our firm know that boys are far more likely to be wounded or killed than girls because guns are discharged. About 80% of deaths from unintentional shootings of children under 14 are boys. In a disturbing note, the Children’s Hospital of Pittsburgh reports that as many as 8 out of 10 first and second graders know where their parents keep guns. At Associates and Bruce L. Scheiner, attorneys for the injured, our gun accident attorneys understand that BB guns and pellet guns also pose potential risks to our children. Estimates indicated that discharge of those weapons may send as many as 8,300 kids to emergency rooms in a year’s time. We understand that the injuries these guns cause can be severe, also. Loss of eyesight, disfigurement, and other serious consequences can leave children with ongoing physical issues. If your child has been hurt or killed because of a gun owner’s negligence or carelessness, you may be entitled to recover monetary damages. Gun accident lawyers in Fort Myers, Naples, Cape Coral, Port Charlotte and Sebring offer you a free consultation to discuss your child’s situation. We can explain your legal rights and your options. If your child has been badly hurt and needs long-term medical care, your choice of attorney is a vital key in helping you recover the compensation your child needs to ensure that treatment will always be available. Associates and Bruce L. Scheiner, Attorneys for the Injured, is a firm committed to helping Southwest Florida families that have been touched by the tragedy of an unintentional shooting. Call us today and ask for a free consultation. If you aren’t able to come to our offices, we’ll come to your home or your child’s hospital room. You pay no fees unless we recover damages for you.